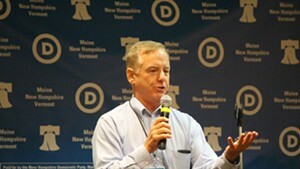 Former governor Howard Dean addresses Vermont delegates to the Democratic National Convention in Philadelphia last July. 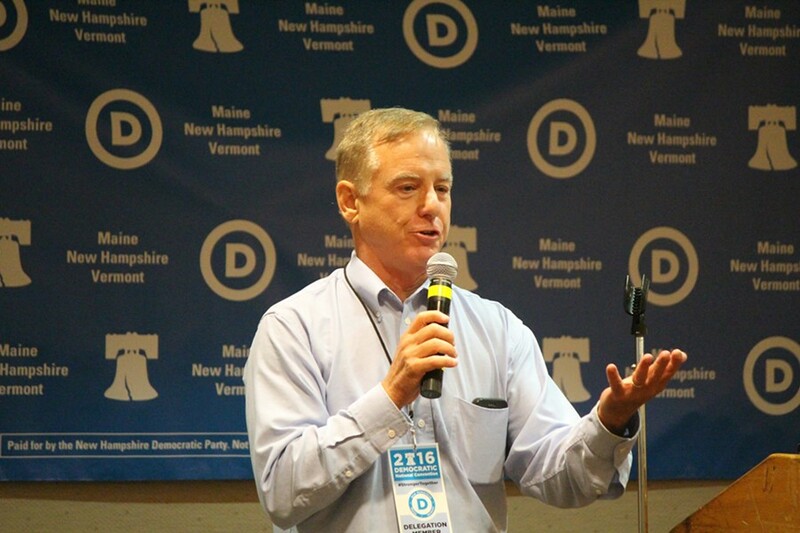 Former Vermont governor Howard Dean announced Thursday that he hopes to reclaim the chairmanship of the Democratic National Committee. Dean served as chairman of the DNC once before — from February 2005 through January 2009 — following his 2004 bid for the presidency. During his time at the helm, he pursued a “50-state strategy” focused on rebuilding state parties in regions that had been written off as reliably Republican. 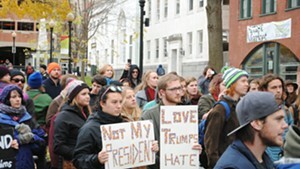 In an interview with Seven Days Thursday evening, Dean said he hoped to revive that strategy and convince young voters to become more engaged. Dean said his bid for the chairmanship was “happening with incredible warp speed.” He said he hadn’t expected to seek a return but didn’t see “anybody else” who could move the DNC in the right direction. The former governor will likely face stiff competition. Congressman Keith Ellison (D-Minn.) is widely expected to seek the position, which opens up in March 2017 when interim chair Donna Brazile’s term expires. Politico has reported that other contenders could include former Michigan governor Jennifer Granholm, South Carolina Democratic Party chair Jaime Harrison and New Hampshire Democratic Party chair Ray Buckley. Dean said he thought highly of Ellison but did not believe a sitting member of Congress could simultaneously lead the DNC. He suggested that a similar arrangement with the last chair, Congresswoman Debbie Wasserman Schultz, (D-Fla.) had contributed to her ouster in July. Ellison, who is African American and Muslim, was one of Sen. Bernie Sanders’ (I-Vt.) only congressional supporters during the Democratic presidential primary. 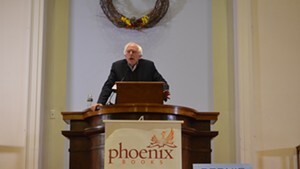 Sanders, who has refused Seven Days’ interview requests for 18 months, told Gannett-owned USA Today and other members of the corporate media Thursday that he was lobbying for Ellison’s election. Later Thursday, Sanders emailed supporters across the country and asked them to sign a petition calling for Ellison’s appointment. Unlike Ellison, Dean supported Clinton in the primary.